1. 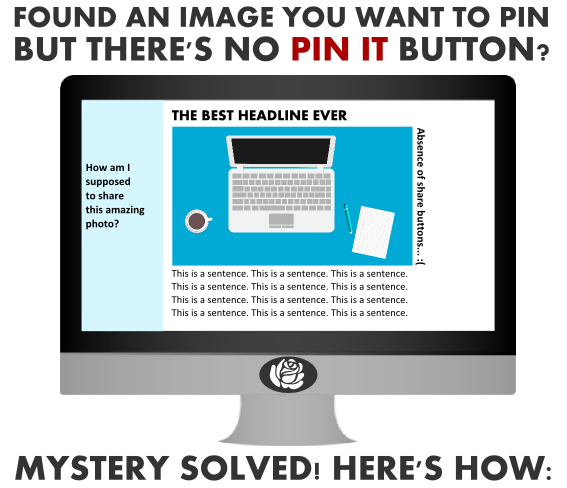 Copy the URL of the page where the image you want to pin appears. 2. Go to Pinterest and log in. 3. Click on the giant + in the bottom corner. 4. Choose "pin from website". 5. Paste the URL in then hit next. 6. 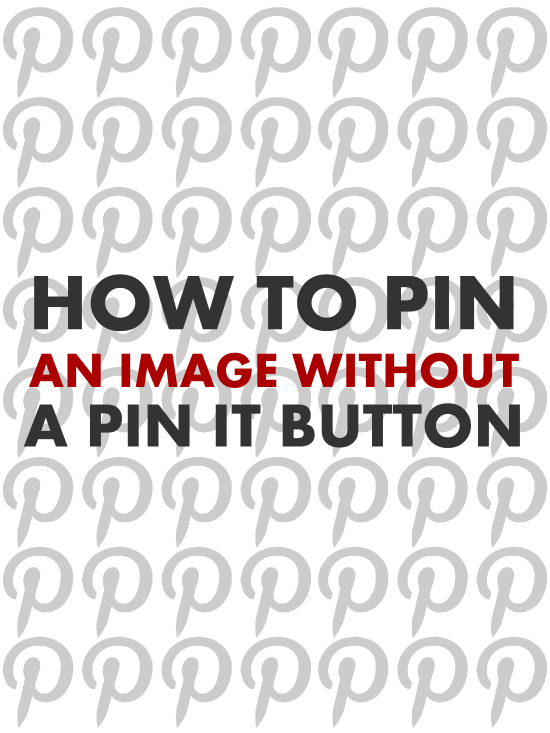 Find the photo you wanted to pin. 7. Click "Pin It", type up a quick description and then add it to the board of your choice.